Librarians and library staff have always tried to uphold the Library Bill of Rights, specifically the access and use of the library collections and space, but are we just a neutral bridge to information or something more? 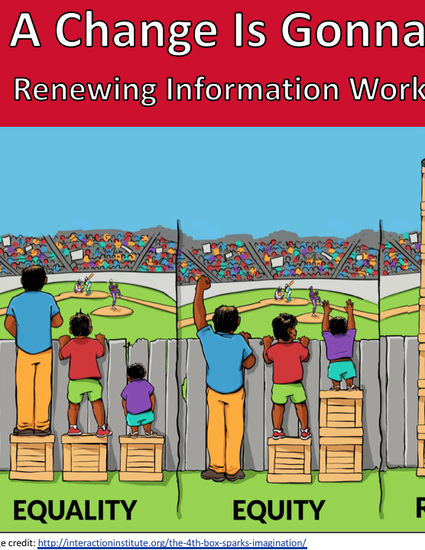 In an era increasingly defined by the socioeconomic and educational inequalities, the digital divide, the resurgence of white supremacy and Islamophobia, and "fake news", we as information workers must challenge how we have understood our roles in the library. In response to this charge, the William H. Hannon Library staff development committee created and facilitated a day-long examination of social justice for librarians and library staff at Loyola Marymount University. Our presentation will reflect on this day including the development of supporting materials and active learning activities, immediate staff response and issues that emerged from participants, and future directions taken as a result of this session. Attendees will perform the activities from this staff development session including understanding microaggressions and examining biases and their effects on library services and the library as a collective space, as well as the tacit assumption that all patrons are middle class, white, and Christian.